The Apple Store on Regent Street is the perfect symbol of the company and its products: it's gorgeous, shiny, enticing and impossible to ignore. But being in London, it's also a really inconvenient place to buy a computer. Luckily, there are many alternatives – Macs are available these days from a greater variety of outlets than ever before. So where should you shop, what should you choose, how can you buy safely and – perhaps the most topical issue here – is there any way to shave a few quid off that exquisitely typeset Apple Store price tag? Apple is unusual in selling its products every which way at once. You can buy a Mac direct from the online Apple Store; from one of the growing number of bricks-and-mortar Apple Stores around the country; from official 'Apple shops' within department stores, staffed by certified Apple Solutions Consultants; and from hundreds of independent Apple Authorised Resellers and Premium Resellers, variously selling online, on the high street or both. The bigger independents buy direct from Apple, while others go through a network of distributors, listed here. What seems weird at first glance is that Apple is competing for your custom against its own dealers. But according to Neil Saunders, Consulting Director at retail analysts Verdict Research, everyone seems to win. "Apple Stores are expensively fitted out and well staffed. They wouldn't make money outside big cities, so Apple couldn't attain the type of coverage it needs without an independent dealer network." From the retailers' point of view, "in some ways, Apple Stores aren't even competition. They're as much a branding tool as a sales tool: people will go in and look around, use the Genius Bar, but may buy elsewhere. The two are symbiotic." Given this range of outlets, shopping around for your Mac could save you money – but probably not very much. Authorised Resellers may knock a few pounds off Apple Store prices, and can also sell you other kit at competitive prices. As Computer Warehouse's Jonathan Cole points out, "We can pioneer new products – things you won't find at the Apple Store." (CW has just opened a new 15,000 sq ft store in West London.) Although you may find fractionally lower prices online, by choosing a local dealer you could get the benefit of trying before you buy and having someone on hand to answer questions. Either way, Mac resellers tend to be very knowledgeable and keen to help. There are a couple of other ways to cut the cost of a new Mac. Business buyers can save a fortune by reclaiming the VAT and offsetting the purchase against tax. If you're not eligible, you may still qualify for a discount from Apple. Any student or teacher can get special pricing. That includes schoolkids. The reductions aren't huge, but they're worth having: for example, a dual-core 27-inch iMac lists for £1,295, compared to the regular price of £1,378. Authorised Resellers can access these special rates and may even shave a bit more off for you. To help you find the cash, Apple also offers financing options. For consumers, this spreads the payments, though you do pay interest. For businesses, flexible leasing knocks more off your tax bill and lets you upgrade your hardware – and indeed software – when necessary without spending big chunks of capital. Find out more here. Your budget will stretch even further with clearance, refurb and second-user deals. If you can suppress your envy of marginally newer, shinier kit, the best time to shop for a Mac is just after Apple brings out new models. Wander down to John Lewis and you're quite likely to find the last of the old range with three-figure reductions. Do check the specs against the incoming versions, which will offer more for the same original price, but at the bottom end of the range you could pay less than the current entry-level for a perfectly good machine. Anywhere that holds Macs in stock is similarly worth a raid, and online retailers also have clearance bins: www.cancomuk.com/clearance is a well-established example. Apple itself has a surprisingly little known online bargain basement. It's a treasure trove of cut-price kit, with some clearance items and many described as 'refurbished'. This usually means someone's bought a Mac, then changed their mind or found a problem and sent it back. Industry insiders tell us these returns often have absolutely nothing wrong with them, and in any case they're fully tested and any faults fixed before they're resold. They're guaranteed for a full year and extendable up to three years via AppleCare. We could have had a 17-inch MacBook Pro for £1,659, £230 off the current price of £1,889. 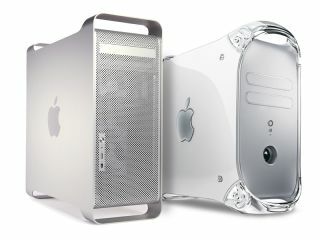 Other sources of refurb Macs include www.2ndchancepc.co.uk, which has been in the business for a decade and is particularly good for older models at extremely low prices. We found a dual-core Power Mac G5, the immediate predecessor of the Mac Pro, for £468, and a G4 tower – ready to run both Mac OS X and legacy OS 9 (Classic) apps, which current Macs no longer support – at just £69. Computer Warehouse has recently moved into this market with its 'Mac scrappage' scheme, which accepts Macs as trade-ins that will then be resold from £99. Then, of course, there's eBay. Search for 'mac' in the Computing category, or be more specific. Alternatively, search the whole site to spot miscategorised machines that nobody else is bidding on. To gauge the going rate, tick 'Completed listings' under 'Show only' in the left-hand column and see what people have paid for recently sold systems. You'll find a wide variation, and catching a bargain often comes down to luck; don't be tempted to over-bid – there will always be more kit to come along.